Promote My Crowdfunding Five million backers $5000,000 ! We’re excited to share that Kickstarter recently crossed two incredible milestones: More than 50,000 creative projects have been successfully funded, and more than five million people from around the world have backed a project. 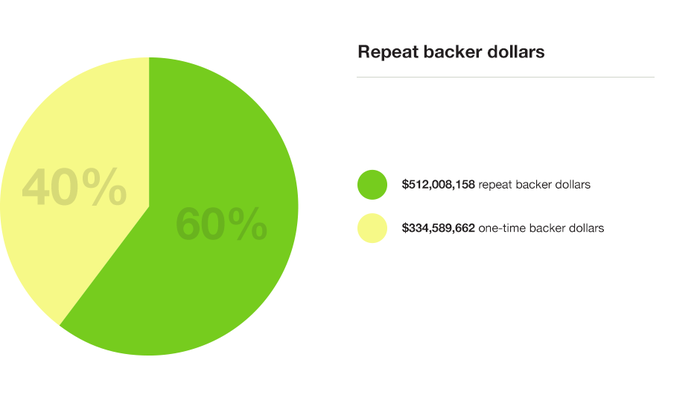 Over the past four-plus years, more than $848 million has been pledged to projects on Kickstarter. At our current pace, Kickstarter will pass $1 billion in pledges early next year, sometime before our fifth birthday. People who come to Kickstarter to back a project often go on to back other projects. Some back a lot of projects. 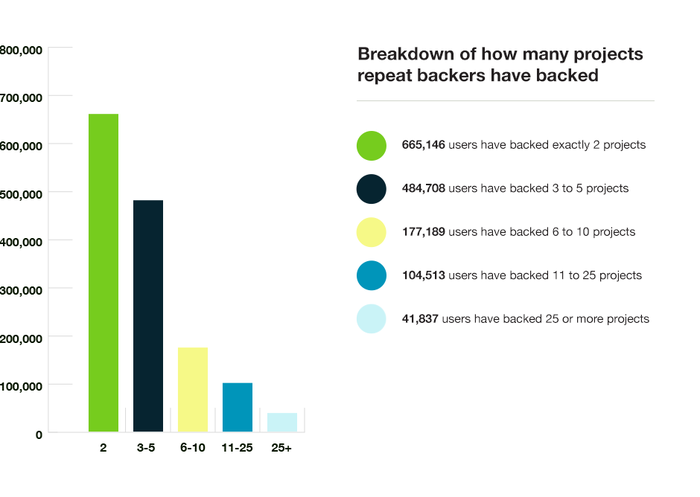 More than 41,000 people have backed 25 or more projects. More than 2,400 have backed 100 or more projects. And there are even eight people (two of whom work at Kickstarter), who have backed more than 1,000 projects. This community of repeat backers is big and getting bigger. 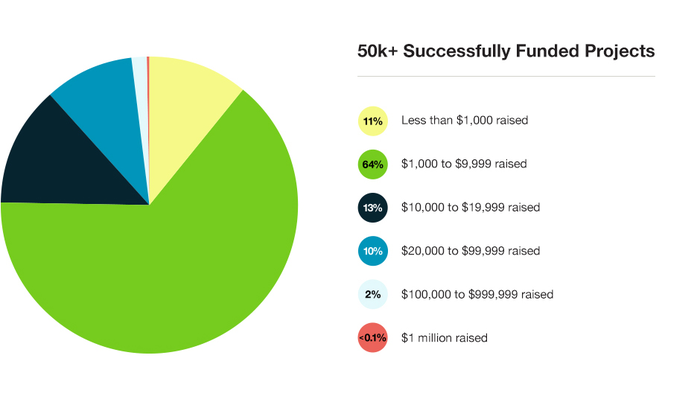 Their pledges make up more than 60% of all money pledged on Kickstarter. In all, they’ve pledged $512 million to projects. The generosity and support that these five million backers have shown to creators is incredible. A backer’s contribution to a project is much more than financial. They’re literally helping people fulfill their dreams and bring new works into the world. What could be better than that? For more data on Kickstarter and how our system works, visit our Stats page, which shares the raw data behind Kickstarter and is updated daily. Thanks!